Tying a scarf is really the easiest thing to do in the world, but it comes best to you with practice. 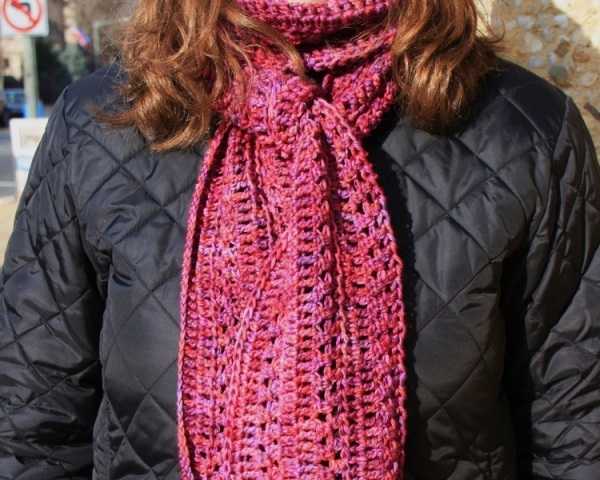 Read your way through this article for instructions on how to tie a scarf. A scarf, depending on how well you carry it off, can add a hint of sophistication to your entire outfit. A scarf enjoys the popularity that it does, because not only can it be worn by women, it can also be worn by men. However, distinctions are drawn when it boils down to how a woman wears her scarf and how a man wears his scarf. It is this difference that makes a woman look feminine when she wears her scarf and a man look masculine when he wears his scarf. If you thought that men don’t wear scarves, or men who wear scarves are more feminine than masculine, then you probably don’t know much about scarves. Take the time and read on to gain access to extremely helpful instructions on how to tie a scarf. The instructions that are to follow are divided into three distinct methods of tying a scarf. You can begin by first grabbing your scarf in your hands. If your scarf is folded, make all the right moves to unfold it. Once you are done with unfolding the scarf, you will have to go right ahead and fold it all over again. However, the folds you are going to make from now on are no random folds; they actually are the folds that will help you tie a scarf the right way. You can begin by folding the unfolded scarf diagonally. If you do this right, your scarf will resemble a triangle. Once you fold the scarf into a triangle, you can go ahead and grasp the broad and middle point of the triangle and fold the scarf repeatedly. You can stop with the folding once the scarf resembles a 2-inch band. Your scarf is folded now, you can feel free to wear it around your neck and maybe even tie a knot with it. It sure will help you look that much more sophisticated. If you are wearing your scarf with an open-collar blouse, you can wear the knot in the front, and if you are wearing it with a boat neck top, you can wear the knot to the side. Start off this method of tying the scarf by turning the square scarf into a triangle. You can do this by diagonally folding the scarf into a triangle. Proceed to wrap the scarf around the back of your neck. If you are doing this right, the tip of the scarf should point down from the back of your neck. Go ahead and tie the ends of the scarf into a knot and adjust it according to your preferences. To sway away from the conventional way of tying a scarf, you can create the look of an ascot with the same. Begin by spreading your scarf on a flat surface. The inside part of the scarf should be facing you and the outside part of the scarf should be resting on the flat surface. Now, go ahead and pull the fabric up from the center of the scarf and tie a small knot. Post doing this, you can flip the ends of the scarf. This will help the knot go underneath the scarf. Proceed to tie the opposite ends of the scarf around the back of your neck while rest of the scarf falls on to the base of your throat. How To Tie A Silk Tie?